In 2016, the opioid epidemic hit a grim milestone. More than 42,000 people died of an overdose, nearly equivalent to the number of lives lost during the peak of the HIV/AIDS epidemic. Yet, unlike the AIDS epidemic, the opioid crisis in this country has yet to see its apex. 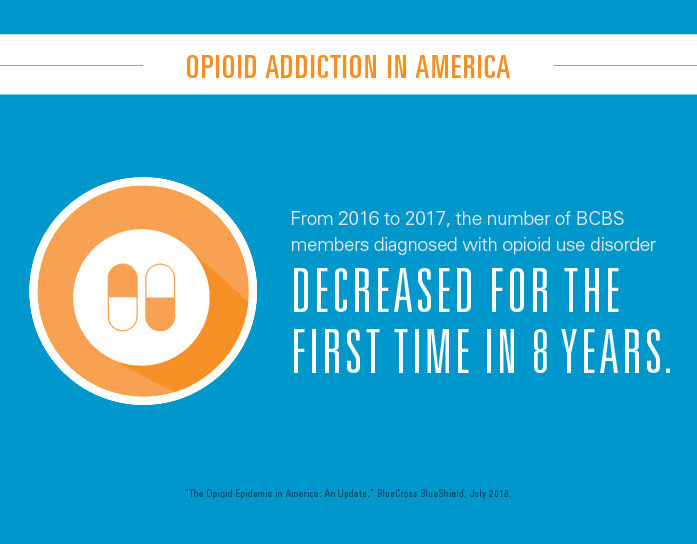 According to the Centers for Disease Control and Prevention (CDC), opioid abuse is not only growing in scale, but also scope, as it spreads geographically and among different demographic groups. In addition to lives lost, the epidemic is responsible for $504 billion in economic costs. While the origins of the epidemic are complex, there is no doubt that it has ruined lives, fundamentally altered communities and strained government institutions. No state or region has been immune to its damage. 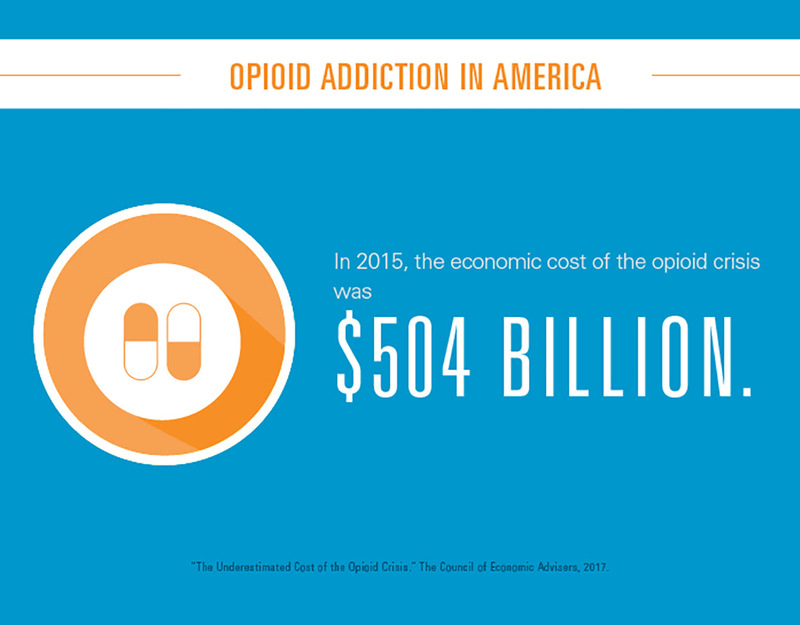 As communities on the front lines struggle to respond to the crisis, the healthcare system is responding by working together to reduce improper opioid use as well as provide for those who need care, support and recovery. Fortunately, there are initial signs of progress. Opioid prescriptions dropped by 29 percent among Blue Cross and Blue Shield members while diagnoses of opioid use disorder—an indication that a patient is dangerously dependent on the painkillers—declined slightly in 2017, the first drop in the eight years that the Blue Cross Blue Shield Association has measured the impact of the opioid crisis on those insured by its member companies. Around the country, locally tailored interventions are also showing results. 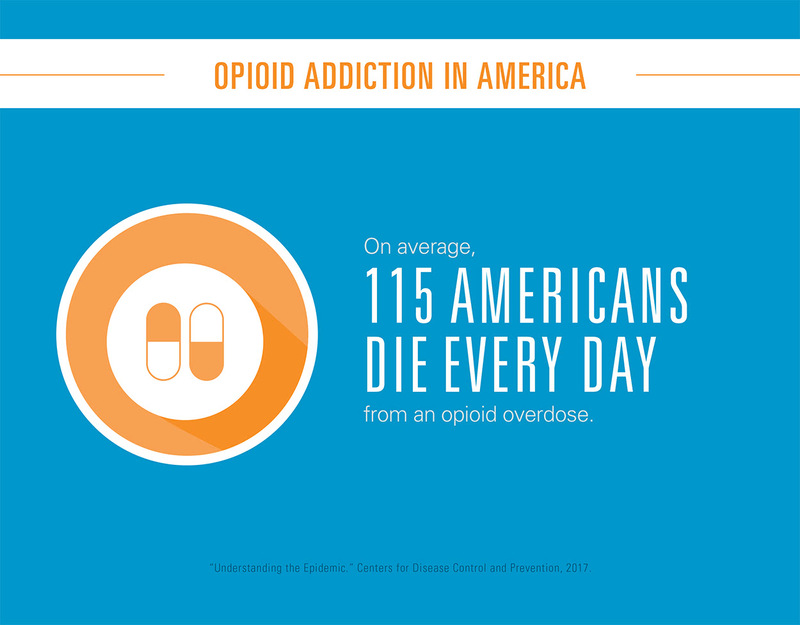 For example, in July 2017, Capital BlueCross in Pennsylvania established limits on short-acting opioids, allowing coverage for a one-week supply. The result: A 42 percent decrease in the number of opioids dispensed and a 12 percent reduction in the number of members using opioids. At Blue Shield of California, a similar program has helped to reduce the number of people on high-dose opioids by nearly half. While the findings suggest improvement, more can be done to make meaningful progress in solving the foremost public health crisis in the U.S. 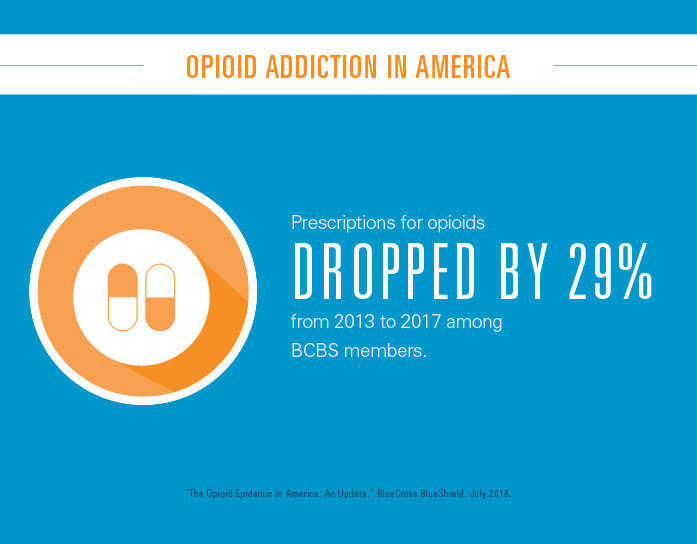 Learn more about what BCBS recommends as policymakers and regulators work to help America overcome the opioid epidemic. Turning the corner on the opioid epidemic: What are the best next steps?